BOSTON, Sept. 13, 2018 /PRNewswire/ — American Well®, a leading U.S. telehealth platform, today announced it has been named to the Forbes 2018 Cloud 100, the definitive list of the top 100 private cloud companies in the world, published by Forbes in collaboration with Bessemer Venture Partners and Salesforce Ventures. As part of the rigorous selection process for the Forbes 2018 Cloud 100, Bessemer Venture Partners received submissions from the top cloud companies. 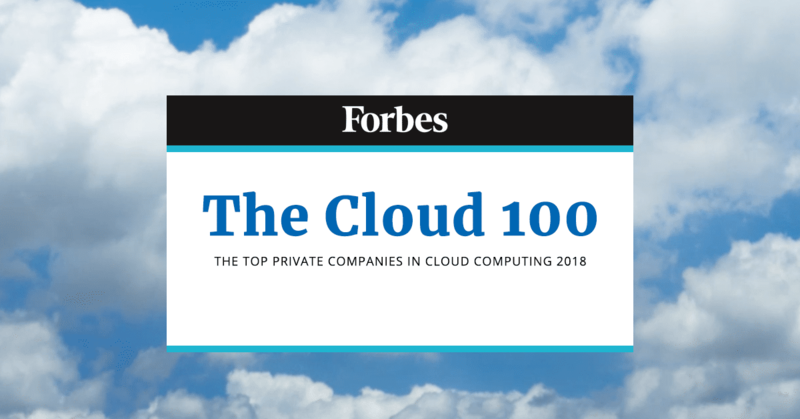 The Forbes Cloud 100 judging panel, including top public cloud company CEOs, reviewed the data to select, score and rank the top 100 cloud companies from all over the world. The evaluation process involved four factors: market leadership (35%), estimated valuation (30%), operating metrics (20%), and people & culture (15%). American Well is a leading telehealth platform in the United States, connecting the nation’s largest hospitals, insurers, employers, and consumer electronics companies for the purpose of delivering healthcare anywhere. Highly-rated by KLAS for “ease of use” in the 2017 Telehealth Virtual Care Platforms report,* American Well is transforming healthcare by creating a first-of-its kind telehealth marketplace, the Exchange™, to deliver medical care seamlessly through technology. With its strong partnerships in the U.S. and global markets, as well as its direct-to-consumer service Amwell®, the company connects millions of people to the doctors they trust for live video visits for everything from urgent care to chronic care management and healthy living. American Well’s software platform has the built-in capability for hospitals and healthcare providers to deliver care digitally, reaching beyond geography, with wrap around turn-key services to extend care beyond the four walls of a hospital and into the hands of consumers. With a decade of experience, American Well powers telehealth solutions for over 130 health systems comprised of 2,000 hospitals and 55 health plan partners with over 7,000 employers, covering over 150 million lives, and helping 1 in 3 Americans get the care they need, when and where they need it most. For more information, please visit AmericanWell.com.